I just finished reading Anna Dressed in Blood by Kendare Blake and loved it! If you like ghost stories, then this is for you. You have a ghost hunter named Cas and a ragtag group of witches and high school kids on a mission to stop a ghost and then redeem her. 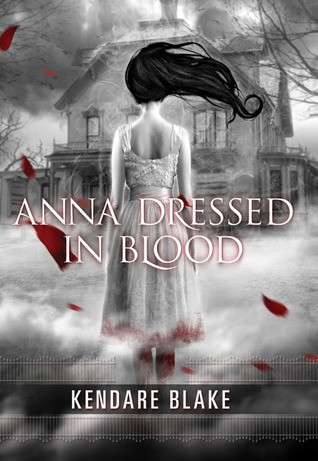 You have blood, guts, voodoo, ghosts, spells and more - this is not a mild YA book! It was a quick read that I picked up for my Kindle Fire and could not put down. I cannot wait till August when the second book comes out. I might be too much of a scaredie.